Daily Deal Category WooCommerce Plugin - Ncode Technologies, Inc.
Daily Deal Category Woocommerce offers feature for WooCommerce category products like Deal(Discount) for your shop whenever you enable the deal from the backend. 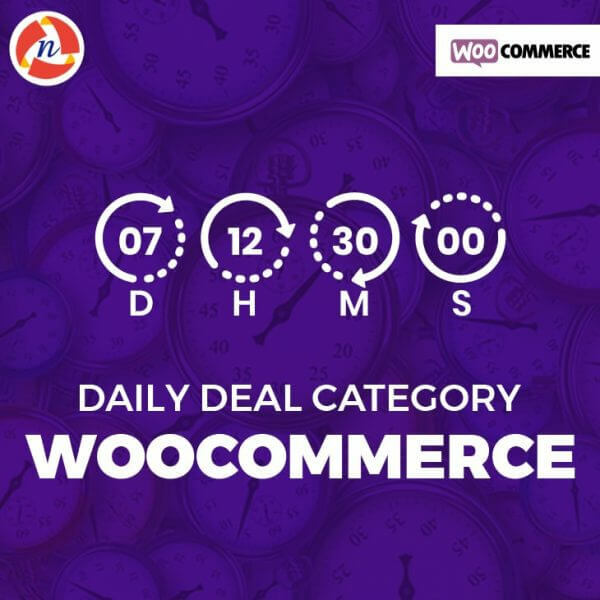 Daily Deal Category WooCommerce Plugin offers feature WooCommerce category products like Deal(Discount) for your shop. Daily Deals Woocatgory are giving you to option Deal With Category set discounts between two date. You can set up a new discount within a couple of time. Your customers and visors can see the deals products, calculate the deal price in percentage, and countdown timer on shop page and product detail page. One of my client ask for this type of functionality in WooCommerce website . So i have search it on google and i reach to NCode Technologies, Inc. This plugin easily configure with my client’s WooCommerce website and my client was happy with this plugin functionality.